In this post we examine five of the best-selling CPU coolers: 2 liquid coolers and 3 fan coolers. 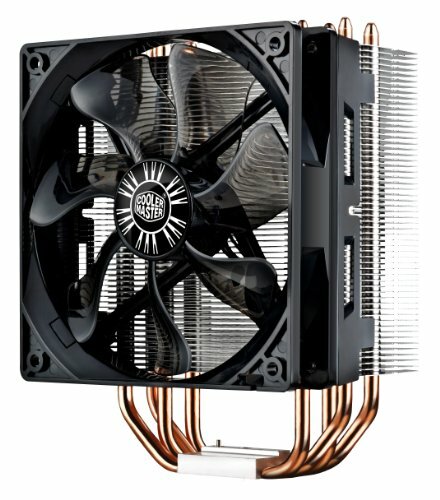 A CPU cooler is usually a fan or heat sink that's designed to pull heat away from your computer's CPU, which can heat up under intense processes such as gaming, video editing and code compiling. Heat can cause thermal expansion that can warp internal components and reduce the lifespan of your computer (Source). CPU coolers consist of a fan that draws heat away from the CPU and some units utilize liquid coolant, which is similar to antifreeze, in addition to the fan to add efficiency and cooling power. All computers come stock with adequate ventilation/cooling systems that are designed for that particular system. Additional cooling is often needed when someone upgrades their CPU or overclocks it so that the computer generates more heat than what it was built to handle. It should be noted that heat buildup is much more a factor in laptops than in towers because of how confined the space is in a laptop chassis. Buyers seem to agree that most 'fan only' systems are adequate for the majority of situations provided you're not planning on overclocking your system; they're cheaper and easier to install and offer better value for your dollar. Liquid cooling systems, while more efficient, are bulky, difficult to install and can be loud, however, they're essential if you're looking to push your system past its limits (Source). For our comparison, we look at two liquid coolers and three fan only coolers. If you're planning on pushing your system to the max, and you're not put off by a challenging install, both the Corsair Hydro H100 V2 and the Hydro H60 are ideal. Both offer high performance liquid cooling, but at a price -- namely, fan noise and difficulty installing. The H100 V2 also allows you to monitor temperature and performance from your desktop (Source). Of the three fan only cooling systems, the CRYORIG M9i gets high marks for being affordable and powerful, and it's designed to fit a variety of computer cases. Like many tower coolers, this one features U-shaped heat pipes to better channel heat away from the CPU. Fan noise is kept to an acceptable level. • CRYORIG H7 -- Large size makes for difficult installation on some machines. Runs quiet. Provides above average cooling. • Cooler Master Hyper 212 EVO PR 212E-20PK R2 offers a good balance of performance to value. Better performance than stock heat sink/fan. Can install an additional fan, although it's questioned whether that offers much more over what the product offers out of the box. If you’re looking for a top-rated CPU cooler, you might want to consider the Cryorig H7 tower cooler. Users love the performance of this cooler, but some complain about its size and installation issues. This product features a highly efficient Hive Fin System in a compact and compatible package, which allows for airflow optimization, air turbulence reduction, added heat dissipation area and structural support. It includes one QF120 120mm PWM fan for increased air intake. This item might be a good choice if you are looking for optimum airflow and noise ratio. 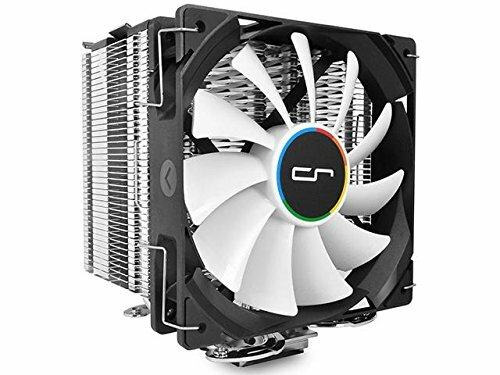 The general user consensus concerning the Cryorig H7 CPU cooler is that it cools very well and, as some users state, it can even handle overclocking. Many buyers appreciate that it is very quiet. However, there are complaints regarding its size. Many users state that it is bulky and therefore might be tricky to install. 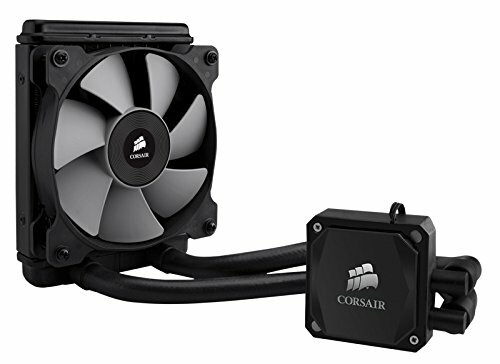 Corsair CPU cooler H100i v2 could be a solid option if you need superior cooling for higher overclocking performance, without the complexity of traditional water cooling kits. Users like the performances of this cooler, but some complain about the noise at high RPM. 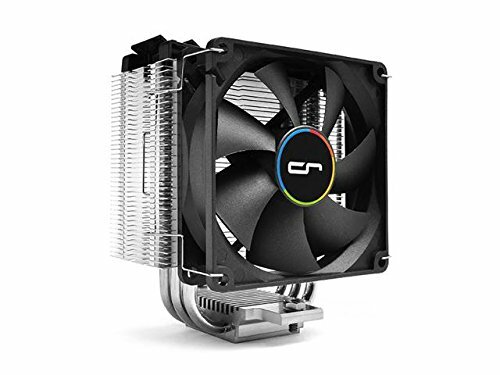 This product is an all-in-one liquid CPU cooler for cases with 240mm radiator mounts. The SP120L PWM dual fans are said to provide excellent heat dissipation that you need for highly overclocked CPUs. The built-in Corsair link allows you to monitor temperatures, adjust cooling performance and customize LED lighting from your desktop. This product might be a solid choice for those who want to get lower CPU temperatures with less noise. In general, users have a good opinion of the Corsair CPU cooler H100i v2 and they conclude that it cools great, even in OC. Many buyers appreciate that it is very quiet and easy to install. However, some complain that the stock fans are loud at high RPM. Cryorig M9i mini tower cooler is a solid option if you want a CPU cooler with fast and easy installation. Users love the value for the money of this item, but some do complain about the hard installation. This product was designed as a compact-sized, high-performance mini tower cooler. It is said to features 3 pure copper heat pipes, true copper base and Jet Fin Acceleration technology. You can adjust it to your needs thanks to a PWM controlled 600~2200rpm fan. 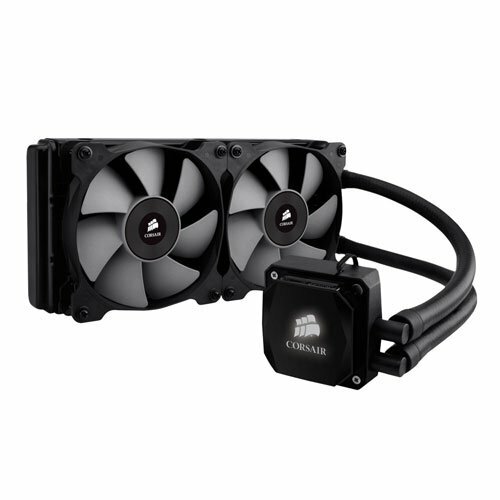 This item seems like a solid choice if you are looking to bring effective cooling performance for compact systems. In general, buyers have a very favorable opinion of the Cryorig M9i CPU cooler. They agree that it is a great value for the price and appreciate that it’s not bulky, as well as that it is easy to install. However, several purchasers state that they had difficulties with the installation. Some users claim that they get inconsistent temperatures with their item. As one online reviewer says, the setup is annoying and therefore he recommends the first time builders to choose a different product. If you are planning to build a new PC from scratch and want to overclock it, or maybe you simply want your new PC to be as silent as possible, you'll probably need to buy an after-market cooling system for your processor. The stock cooling system that comes with branded PCs is good enough for the needs of most people and keeps the processor cool enough. 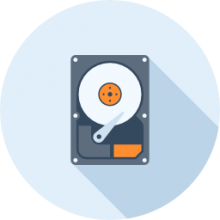 However, over time, enough heat can accumulate, lessening the performance of your processor and even permanently damage your PC. The risk for this is increased if you play graphically demanding games or watch HD movies. You will have probably noticed that when you do something that puts strain on your processor, the cooling system starts to make a lot of noise. This is why you would be better off with a better cooling system. The most important thing that needs to be kept cool in a PC is the CPU. It is the heart of the PC and does all the important stuff needed to keep your PC running, which is why making sure it doesn't overheat is so important. A proper cooling system for your PC would include a CPU heatsink and a CPU fan. If you window shop in different computer accessories shops, you will see that there are a variety of options to choose from. These will be able to keep the temperature of your CPU down while also being able to handle anything that needs to be processed without overheating. Is the heatsink and fan compatible with your model of CPU? Will the CPU cooler be able to be installed properly on the motherboard or will you need to get extra accessories to get it to work. Will the heatsink and CPU fit inside your PC case? Do you have enough power supply to your PC to run the cooling system? By considering these points in advance, you will save a lot of time when you go to buy a cooling system. If you didn't plan things out in advance, you might end up buying a cooling system that doesn't fit in your CPU or can't be attached to the motherboard. Do You Need To Have A Cooler For Your CPU? Even if you are not overclocking your CPU, you still at need a good CPU heatsink. Otherwise, you run the risk of your CPU burning up or performing very badly. If you get an OEM CPU that does not include a stock heatsink, then you will have to buy one for it. Since high temperatures can greatly reduce the lifespan of the PC or cause permanent damage to various components. Sometimes the high temperature can exceed the stock cooling capacity for your CPU, causing the damage. Even though PC manufacturers try their best to include the highest temperature bearing cooling systems in their PCs, there is still the risk of damage to the PC due to overheating. An innovative gadget is a thermal sensor that can be integrated with the CPU, chipset or motherboard. It helps by shutting down the associated processes when it senses that the temperature has exceeded the safe limits. However, this is not a fool proof method and does not ensure long term protection from overheating. Throttling is a technology in which dynamic frequency scaling is used to reduce the operating rate and amount of electricity going into the overheated component. This will result in reduced performance as some essential features will shut down due to overheating. Throttling is also used in smartphones and tablets as the components in these products are jam packed tightly together. You don't need to be an expert and computer hardware to install a CPU cooling system by yourself. However, you will need to read or view the specific instructions on how to install the cooling system and this will involve some things that you will need to do with subtlety and carefully. Before installing the CPU cooler, do some preparatory work first. Clean all the components in the CPU, and also clean the CPUs heatsink and heat spreader. This will lead to lower CPU temperatures and the noise of the cooling fan will also be greatly reduced. This will also allow you to overclock your CPU without fear of any damage due to overheating. By now, you should have a thorough understanding of how coolers work. For the purposes of this article, let’s assume that you want to build a PC for high end gaming, so the following points should be kept in mind before getting the cooling system. The surface area of the heatsink matters a lot. The greater it is, the quicker it will be able to dissipate heat. A larger base plate also means that heat is transferred properly from the CPU to the heatsink. The material that the cooling system is made up of also matters a lot. For example, copper is twice as good as aluminum and thus, makes for better material for a heatsink. The amount of heat pipes and their diameter also matter a lot. Typically, the more heat pipes there are, the better the cooling system is. Extra vapor chambers can also help to diffuse extra heat from various PC components. The number of fans also affects the cooling system to a large degree. However, having too many fans will make a lot of noise. You will have to decide which noise level is okay for you and select the number of fans based on that. You can always decrease the RPM value of the fans to lessen their noise. This last point might seem pointless, yet it will matter in the long run. Even though you won't be able to see the heatsink and fans while using the PC, it still doesn't mean that you should use a heatsink that is an ugly looking piece of machinery. Therefore, select a good looking cooling system that will match the overall personality of your CPU. When you're searching for the cheapest price- you can check prices at locations like Home Depot, Lowes, Ikea, Sears, Target, Harbor Freight, Menards, Ace Hardware, Walmart, Walgreens, and in many cases Costco.